The town of Rainbow Beach sits on the coast in south-eastern Queensland. From Inskip Point north of town, one can take a vehicle ferry to Hook Point on the UNESCO Heritage listed Fraser Island, largest sand island in the world. 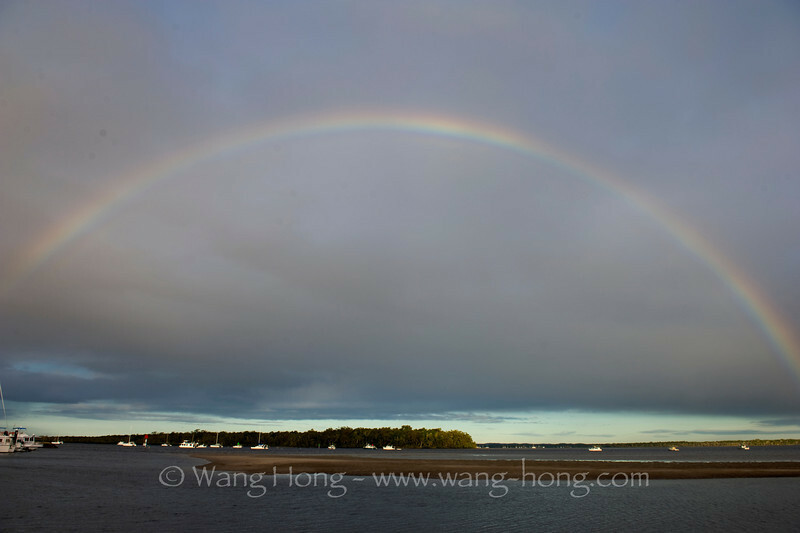 As we drove into Rainbow Beach, we couldn't believe our eyes as we were virtually moving toward this beautiful arch of rainbow across the sky. I felt like in a fairy tale.